The University of Melbourne operates a number of seismograph networks to monitor seismicity levels in Victoria and across Australia. 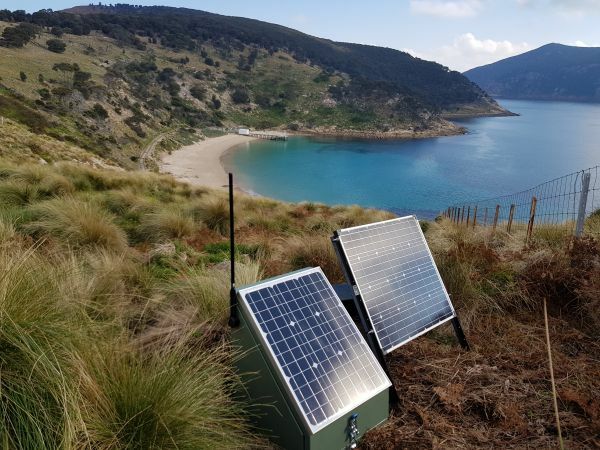 The GipNet Seismology Monitoring Network is being installed to monitor areas considered for future Carbon Capture and Storage (CCS) activities in the offshore Gippsland Basin. By installing up to 24 seismographs across the Gippsland Basin, on islands in Bass Strait, and on the ocean floor, our network will greatly improve seismic coverage across Gippsland. This will enable location of earthquakes over a wider area, and to greater accuracy than previously possible, especially earthquake depth estimates. Much of our research focuses on the optimisation of earthquake monitoring for CCS activities in coastal sedimentary basins. These environments typically have sub-optimal conditions for seismic monitoring such as soft near-surface rocks, high attenuation levels and high noise levels from ocean waves. Monitoring the offshore Gippsland Basin is further complicated by our inability to install a high density micro-seismic network directly at the source of potential CCS activities, since this area is offshore. Our ability to provide efficient, cost-effective monitoring in this complex seismic environment will help inform discussions around CCS activities in the region and will improve our understanding of seismicity and seismic hazard across the Gippsland Basin.